LONDON – Corporate Britain is in great panic following a series of announcements by major companies to cut down on the number of outlets or move businesses out of the country. 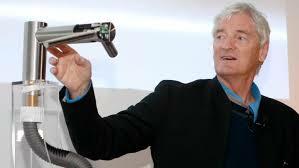 In a shocking move, the hitherto Brexit-backing billionaire, Sir James Dyson revealed he is moving his company headquarters to Singapore, reports The Guardian. Dyson’s decision came on a day in which a number of firms announced measures to soften the impact of UK’s departure from the European Union (EU). Dyson, who was a leading supporter of the leave campaign who urged ministers to walk away without a deal, did not explain why he is moving his headquarters. However, Jim Rowan, the Chief Executive Officer of Dyson said the move from Wiltshire to Singapore had “nothing to do with Brexit”. And that it would not affect British jobs. According to the Sunday Times rich list, Sir James Dyson, with a £9.5b personal fortune, is the 12th richest person in Britain. His household appliance brand company employs 4,500 people in the UK out of a worldwide staff of 12,000. P&O, a 182-year old maritime operator, declared that its entire fleet of cross-Channel ferries will be re-registered under the Cypriot flag as it activated its Brexit plans. The company said all six of its cross-Channel ferries will be re-registered from the UK registry in Cyprus to keep EU tax benefits. Bentley is another company in panic. The luxury carmaker Chief Executive Officer said the company was stockpiling parts and described Brexit as a “killer” threatening the firm’s profitability. Big retailers are also uncomfortable. 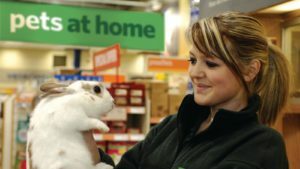 Dixons Carphone – stockists of TVs and laptops; together with Pets at Home – the nation’s biggest pet supplier, announced plans to shore up supplies in the event of chaos at British ports. Pets at Home chief said his company had started stockpiling necessities including cat food as “we don’t want families to run out of food for their pets” after Brexit day. Last year another pro-Brexit billionaire, Sir Jim Ratcliffe, UK’s richest person with a £21b fortune, was reported to be planning to leave Britain for tax-free Monaco. British Prime Minister Theresa May told business lobby groups on Tuesday January 22 that she was refusing to rule out a no deal as she tries to persuade reluctant Members of Parliament to back her Brexit plan by arguing that the only way to avoid crashing out of the EU is to sign up to her proposals. Claire Walker, Co-executive Policy Director at the British Chambers of Commerce, said it was a significant concern that businesses have been left “in the dark” about Brexit and are being forced to activate emergency plans for 29 March, The Guardian writes. Adrian Hallmark, the Chief Executive of Bentley, said the luxury carmaker was on track to return to profit this year, but will fail to do so in the event of a hard Brexit. He said stopping production at the company’s Crewe plant would cost the Volkswagen-owned business millions of pounds a day.